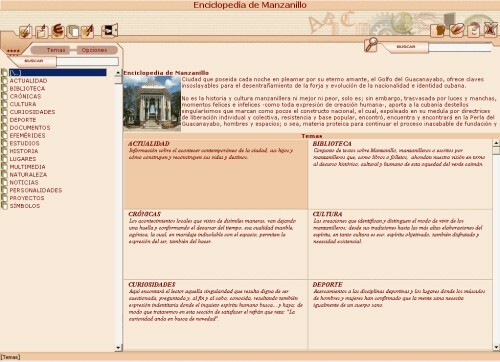 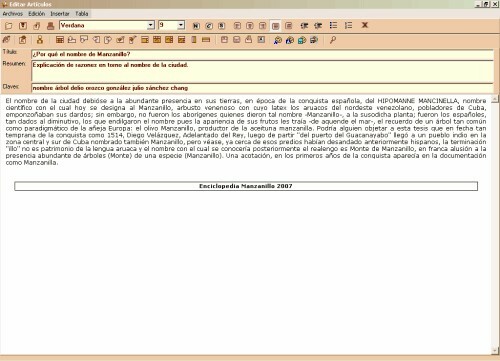 Alarife is a freeware application for creating multimedia encyclopedias. 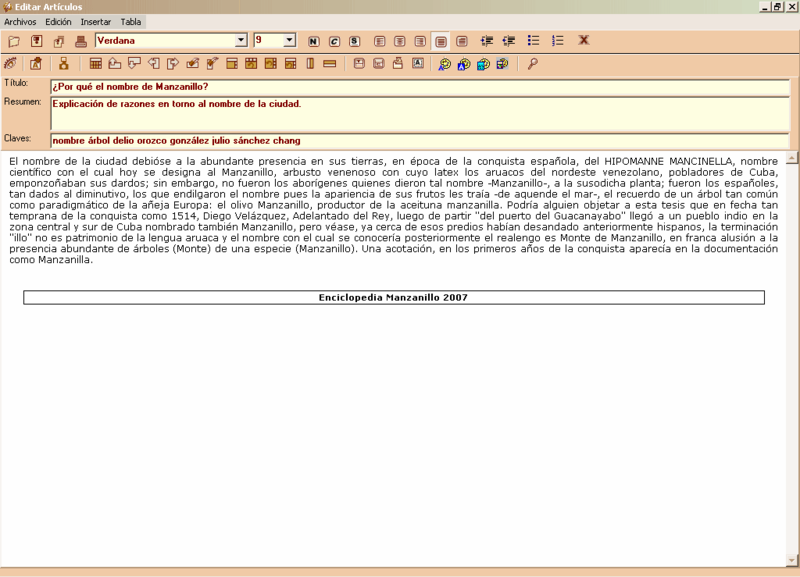 It does not require graphic design or web programming skills to use. Encyclopedias generated by Alarife are multiplatform (can be used in different OS), portable (can be run from a flash memory, a CD, DVD, or other media without installation), updatable and configurable.